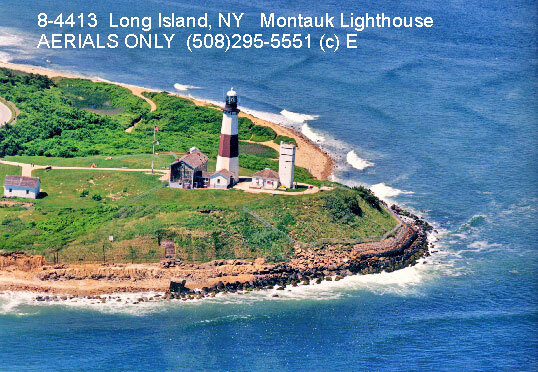 At the eastern most end of Long Island sits Montauk Point, known to most New Yorkers for its scenic beauty and landmark lighthouse. To the immediate west of the lighthouse, there is a mysterious and derelict Air Force base on the grounds of old Fort Hero. Although it was officially decommissioned and abandoned by the U.S. Air Force in 1969, it was subsequently reopened and continued to operate without the sanction of the U.S. Government. The entire financing for the base is also a mystery. No funding can be traced to the military or government. Officials of the U.S. Government have probed for answers without success. The secrecy of the operation has prompted legends to thrive across Long Island. However, it is unlikely that any of the local people of Montauk, or those who spread the tales, know the full story of what actually went on there. A circle of insiders believe the Montauk Project was a development and culmination of the phenomena encountered aboard the U.S.S. Eldridge in 1943. Popularly known as the “Philadelphia Experiment”, the ship actually disappeared while the Navy conducted radar invisibility experiments. According to these accounts, over three decades of secret research and applied technology ensued. Experiments were conducted that included that included electronic mind surveillance and the control of distinct populations. The climax of this work was reached at Montauk Point in 1983. It was at that time that the Montauk Project effectively ripped open a hole in space-time to 1943. Perhaps the person best qualified to tell the real story is Preston Nichols, an electrical engineer and inventor who has studied the Montauk Project for the better part of a decade. His interest in the project was spurred in part by unusual circumstances in his own life. He was also able to legally acquire much of the equipment that was used for the project. His continued investigation ultimately revealed his own role as the technical director of the project. Despite brainwashing and threats to silence him, he has survived and has decided it is in the best interest of all to tell his story. Because of the subject matter of this book is controversial, we would like to offer some guidelines. This book is an exercise in consciousness. It is an invitation to view time in a new manner and expand your awareness of the universe. Time rules our fate and ushers in our death. Although we are regulated by its laws, there is much that we do not know about time and how it relates to our consciousness. Hopefully, at the very least, this information will broaden your horizons. Some of the data you will read in this book can be considered as “soft facts”. Soft facts are not untrue, they are just not backed up by irrefutable documentation. A “hard fact” would be documentation or hard physical evidence that could stand up to scrutiny. By the nature of the subject matter and security considerations, hard facts about the Montauk Project have been very difficult to obtain. There is also an area between soft and hard which can be termed “gray facts”. These would be very plausible but not as easily provable as a hard fact. Any serious investigation will show that a Montauk Project did, in fact, exist. One can also find people who have been experimented on in some fashion or another. This book is not an attempt to prove anything. The purpose is to get a story told that is of essential interest to scientific researchers, metaphysicians and citizens of the planet Earth. It is the story of one particular individual and his circle of contacts. It is hoped that more individuals will come out of the closet and that researchers will come forth with more investigations and documentation. This work is being presented as non-fiction as it contains no falsehoods to the best knowledge of the authors. However, it can also be read as pure science fiction if that is more suitable to the reader. A short glossary has been provided in the back to assist with ordinary electronic terms and those of a more esoteric nature. Scientists who read this book should understand that the definitions are designed to assist the general reader’s understanding. They are not purported to be the latest technical jargon. Likewise, the general reader should understand that the diagrams in this book are included for the benefit of technical people. If one is interested, they can get a further understanding of those terms and symbols by studying the Radio Amateur’s Handbook or a text of similar nature. * Further information about the Philadelphia Experiment can be found in Appendix E.
The Philadelphia Experiment was known as the Rainbow Project to those who manned and operated it. It was designed as a top secret project that would help end World War II. The forerunner of today’s stealth technology, the Rainbow Project was experimenting with a technique to make a ship invisible to enemy radar. This was done by creating an “electromagnetic bottle” which actually diverted radar waves around the ship. An “electromagnetic bottle” changes the entire electromagnetic field of a specific area - in this case, the field encompassing the USS Eldridge. While the objective was to simply make the ship undetectable by radar, it had a totally unexpected and drastic side effect. It made the ship invisible to the naked eye and removed it from the space-time continuum. The ship suddenly reappeared in Norfolk, Virginia, hundreds of miles away. The project was a success from a material standpoint, but it was a drastic catastrophe to the people involved. While the USS Eldridge “moved” from the Philadelphia Naval Yard to Norfolk and back again, the crew found themselves in complete disorientation. They had left the physical universe and had no familiar surrounding to relate to. Upon their return to the Philadelphia Navy Yard, some were planted into the bulkheads of the ship itself. Those who survived were in a mental state of disorientation and absolute horror. The crew were subsequently discharged as “mentally unfit” after having spent considerable time in rehabilitation. The status of “mentally unfit” made it very convenient for their stories to be discredited. This put the Rainbow Project at a standstill. Although a major breakthrough had occurred, there was no certainty that human beings could survive further experimentation. It was too risky. Dr. John von Neumann, who headed the project, was now summoned to work on the Manhattan Project. This concerned the making of the atom bomb, which became the weapon of choice for ending World War II. Although it is not well known, vast research that began with the Rainbow Project was resumed in the late 1940’s. It continued on, culminating with a hole being ripped through space-time at Montauk in 1983. The goal of this book is to give you a general understanding of the research and events subsequent to the Philadelphia Experiment and up to 1983 at Montauk. I will begin by telling you how I, Preston Nichols, stumble across it. In 1971, I began working for BJM*, a well known defense contractor on Long Island. Through the years, I got a degree in electrical engineering and became a specialist in electromagnetic phenomena. I was not then aware of the Philadelphia Experiment or its accompanying phenomena. * BJM is a fictitious name for the company I worked for. Although I was not extraordinarily interested in the paranormal at that time, I had obtained a grant to study mental telepathy and to determine whether or not it existed. I sought to disprove it, but I was surprised to find out that it did, in fact, exist. I began my research and found out that telepathic communication operated on principles that are strikingly similar to that of radio waves. I had discovered a wave that could be termed a “telepathic wave”. In some respects, it behaved like a radio wave. I set out to get the characteristics of this “telepathic wave”. I studied their wave lengths and other pertinent facts. I determined that while a telepathic wave behaves like a radio wave, it isn’t exactly a radio wave. Although it propagates in a similar fashion to that of electromagnetic waves and possesses like properties, not all of these fit into normal wave functions. I found all of this very exciting. I had discovered a whole brand new electromagnetic function that was not in any of the text books I’d ever seen. I wanted to learn as much as I could and studied all the activities that might use this type of function. My interest into metaphysics had been launched. I continued to research in my spare time and collaborated with different psychics to test and monitor their various responses. In 1974, I noticed a peculiar phenomena that was common to all of the psychics that I worked with. Every day, at the same hour, their minds would be jammed. They couldn’t think effectively. Suspecting that the interference was caused by an electronic signal, I used my radio equipment and correlated what came on over the air waves at the times the psychics were non-functional. Whenever a 410-420 MHz (Megahertz) cycle appeared on the air, they were jammed. When the 410-420 MHz cycle was off, the psychics would open back up after about twenty minutes. It was obvious that this signal was greatly impeding the ability of my psychics. I decided to trace the signal. Placing a modified TV antenna on the roof of my car, I grabbed a VHF receiver and set out looking for the source of it. I tracked it right to Montauk Point. It was coming directly from a red and white radar antenna on the Air Force base. At first, I thought that this signal might have been generated accidentally. I checked around and found out that the base was still active. Unfortunately, security was tight and the guards wouldn’t give any useful information. They said that the radar was for a project run by the FAA. I couldn’t press the point beyond that. In fact, their statement didn’t make a lot of sense. This was a World War II radar defense system known as “Sage Radar”. It was totally antiquated, and there is not any known reason why the FAA would need such a system I didn’t believe them but couldn’t help being intrigued. Unfortunately, I had hit a dead end. I continued my psychic research, but didn’t get anywhere on the investigation of the Montauk antenna until 1984, when a friend of mine called. He told me the place was now abandoned, and that I should go out there and check it out. I did. It was indeed abandoned, with debris strewn everywhere. I saw a fire extinguisher left amidst many scattered papers. The gate was opened as were the windows and doors of the buildings. This is not the way the military normally leaves a base. I strolled around. The first things that caught my eye was the high voltage equipment. I was very interested as it was a radio engineer’s delight. I am a collector of ham (ham radio = Amateur radio) gear and radio equipment, and I wanted to buy it. I figured it would be available cheap if I made the proper arrangements though the Surplus Disposal Agency in Michigan. After examine all the equipment, I contacted the disposal agency and spoke to a friendly lady. I told her what I wanted, and she told me she would see what could be done. It appeared to be abandoned material and looked like a scrap contract. If this was so, I’d be able to take what I wanted. Unfortunately, I didn’t hear from her so I called her back three weeks later. She informed me that there had not been any success with tracing the equipment. They couldn’t find out who owned it. Neither the military or the GSA (General Services Administration) claimed to know anything about it. Fortunately, the Surplus Disposal Agency said they would continue to track the matter further. After another week or two went by, I called her back. She said she’d turn me over to a John Smith (fictitious name), located at a military overseas terminal in Bayonne, New Jersey. “Talk to him and he’ll set something up,” she said. I met John Smith. He didn’t want to discuss anything on the phone. He said that no one officially admitted to owning that equipment. As far as they were concerned, the equipment was abandoned and I could go in and take whatever I wanted. He gave me a piece of paper which appeared be official and said to show it to anyone who might question my presence in the area. It was not an official document nor was it registered with anybody, but he assured me that it would keep the police off my back. He also referred me to the caretaker of the Montauk Air Force Base who would show me around. I was out at the base within the week. There I met the caretaker, Mr. Anderson. He was very helpful. He told me to be careful and showed me where things were so that I wouldn’t fall through the floor and that type of thing. He said I was welcome to take anything I could this trip, but if he ever saw me out there again, he’d have to kick me out. His job, after all, was to keep people off the base. He realized that the permission I had was semi-official at best. He was also kind enough to tell me that he went out for a drink every evening at 7P.M.. I had taken a trip to Montauk with a fellow named Brian. Brian was a psychic who had helped me with my research. As we foraged around the base, we went in two different directions. I went into a building and saw a man who appeared to be homeless. He told me that he had been living in the building ever since the base was abandoned. He also said that there had been a big experiment a year earlier and that everything had gone crazy. Apparently, he’d never gotten over it himself. In fact, the man recognized me, but I had no idea who he was or what he was talking about. I did listen to his story. He said he had been a technician at the base and that he’d been AWOL. He had deserted the project just before the base had been abandoned. He spoke about a big beast appearing and frightening everyone away. He told me a lot about the technical details of the machinery and how things worked. He also said something that was very strange. He told me that he remembered me well. In fact, I had been his boss on the project. of course, I thought it was pure nonsense. I didn’t know then that there was any truth to his story. This was just the beginning of my discovery that the Montauk Project was real. I left the man and found Brian. He was complaining that things weren’t right and that he was feeling some very funny vibrations. I decided to ask him for a psychic reading right there. His reading was strangely similar to what the homeless man had just told me. He spoke of irregular weather patterns, mind control and a vicious beast. He mentioned animals being affected, crashing through windows. Mind control was a main focus of Brian’s reading. The reading was interesting, but we were there to cart out the equipment. Much of it was heavy and we weren’t allowed to bring a vehicle right onto the base. We had to back pack it. I was thus able to acquire much of the equipment left behind from the Montauk Project. A few weeks later, I was surprised by a visitor who barged into my lab. He came straight to the lab, which was in back of the house. He didn’t ring the door bell or anything. He claimed to know me and said that I had been his boss. He went on to explain many of the technical details of the Montauk Project. His story corroborated what psychics and the homeless man had told me. I didn’t recognize him but listened to all he had to say. I was sure that something had gone on at the Montauk base, but I didn’t know what. My personal involvement was evident, but I still didn’t consider it very seriously. I was, however, puzzled by different people recognizing me. I had to make it my business to investigate Montauk. So, I went out and camped on the beach for a week or so. I went to bars and asked the locals for stories about the base. I talked to people on the beach, on the street, wherever I could find them. I asked all about the strange activities that were purported to have occurred. Six different people said that it had snowed in the middle of August. There were listings of hurricane force winds that came out of nowhere. Thunder storms, lightning and hail were also reported under unusual circumstances. They would appear when previously there had been no meteorological evidence to expect such. There were other unusual stories besides the weather. These included stories of animals coming into the town en masse and sometimes crashing through the windows. By this time, I had taken different psychics out to the base. The stories confirmed what psychics had been able to determine through their own sensitivity. I finally got the idea to speak to the Chief of Police who also informed me of strange happenings. For example, crimes would be committed in a two hour period. Then, all of a sudden, nothing. Keep in mind that Montauk is a very small town. After the quiet, another two hour period of crimes would occur. Teens were also reported to suddenly group en masse for two hours, then mysteriously separate and go their own ways. The Chief couldn’t account for it, but his statements lined up perfectly with what the psychics had indicated about mind control experiments. I had collected some really bizarre information, but I didn’t have many answers. I was, however becoming very suspicious. I had often travelled to Ham-fests, (where Ham radio equipment is bought and sold) and there more people would recognize me. I had no idea who they were, but I would talk to them and ask them about Montauk. As I did, more information came, but everything was still a big puzzle. In November of ‘84, another man appeared at my lab door. His name was Duncan Cameron. He had a piece of audio equipment, and he wanted to know if I could help him with it. He quickly became absorbed in the group of psychics I had working with me at the time. This endeavor was a continuation of my original line of research. Duncan showed a keen aptitude for such work and was extremely enthusiastic. I thought he was too good to be true and became suspicious of him. My assistant, Brian, felt the same. He didn’t like Duncan's sudden involvement and decided to go his own way. At one point, I surprised Duncan by telling him that I would be taking him some place to see if he recognized it. I drove him to the Montauk Air Force Base. He not only recognized it, he told me what the purpose was for each of the various buildings. He knew exactly where the bulletin board in the mess hall was and many other such minute details. Obviously, he had been there before. He knew the place like the back of his hand. He provided new information about the nature of the base and what his own function had been, Duncan’s input dovetailed very nicely with the previous data I had collected. When Duncan entered the transmitter building, he suddenly went into a trance and began spitting out information. This was curious, but I had to shake him repeatedly to break him out of it. When I brought him back to the lab, I applied techniques that I’d learned to help Duncan unblock his memories. Layers of programming were now coming out of Duncan. A lot of information concerned the Montauk Project. Many different things were revealed, until finally a shocking program came straight to the awareness of Duncan’s conscious mind. He blurted out that he had been programmed to come to my place, befriend me and, then, kill me and blow up my entire lab. All my work would be totally destroyed. Duncan appeared to be more outraged at all this than I was. He swore that he would no longer help those who had programmed him, and he has worked with me ever since. Further work with Duncan revealed even more bizarre information. He had been involved in the Philadelphia Experiment! He said that he and his brother Edward had served aboard the USS Eldridge as members of the crew*. * An account of Duncan’s role in the Philadelphia Experiment is in the book “The Philadelphia Experiment & Other UFO Conspiracies” by Brad Steiger with Al Bielek and Sherry Hanson Steiger. A lot of things surfaced as a result of my work with Duncan. I started to remember things about the Montauk Project and was now certain I’d been involved. I just didn’t know how or why. The puzzle was slowly clearing up. I found Duncan to be an extremely operational psychic and through him I was able to confirm new information. I visited Montauk many more times, often with different people who had been involved. A small group of us began to realize that we had stumbled across one of the highest security projects the country had ever known. We figured that we had better do something fast with this new found knowledge. If we didn’t, we might end up dead. As a group, we decided action had to be taken. We weren’t sure exactly what to do, so we sat around and discussed it. What was the best thing to do? Publish it? Immediately? We talked about it extensively. In July of 1986, we decided that I should go to the United States Psychotronics Association (USPA) in Chicago and talk about it. I did, and it created an uproar. Word got around fast to those who didn’t want the Montauk story to be revealed. Suddenly, here I was, giving an unannounced lecture. The information got out to hundreds of people, swept under the rug without creating a public furor. To this day, I still appreciate the open forum and free speech that the USPA provided me. Now, we decided to feed the information to the federal government. One of associates knew the nephew of a senior senator from the Southwest. The nephew, who we will call Lenny, worked for the Senator. We gave the information to Lenny, who passed it to his uncle. This information included pictures of the orders given to the different military personnel, which we had found strewn about the base. The Senator did a personal investigation and verified that military technicians had in fact been assigned to the base. The Senator also discovered that the base was decommissioned, derelict and mothballed since 1969. Having served his country as an Air Force general, he was particularly interested to know why Air Force personnel were working on a derelict base. And, where did the money come from to open up the base and run it? After they did their own investigation and saw the pictures and documents we supplied them, there was no question that the base had been active. 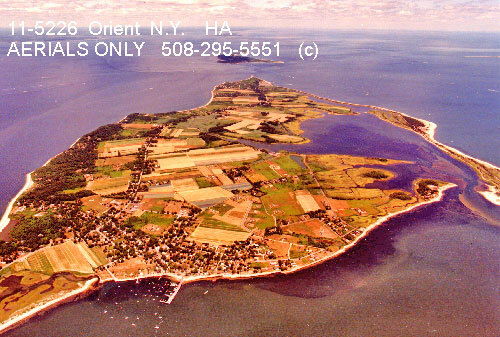 They verified that Fort Hero (which is the name of the original World War I base that surrounds the entire area of the Air Force base) and Montauk were indeed derelict and simply listed as property held by the General Services Administrations since 1970. The Senator got very involved and travelled to Long Island to find out what he could about Montauk Air Force Base. He was not greeted with enthusiastic cooperation despite having very impressive personal credentials. People reported seeing him looking through the fences and trying to find out what was going on. He visited me and told me to keep quiet about it as speaking out any further could jeopardize his investigation. That is why I have kept this story quiet until now. When the Senator completed his investigation, he couldn’t find any trace of government funding, no appropriations, no oversight committees and no payments. He eventually retired due to advancing age, but I have since been informed by Lenny that he sees no problem with my story being published. He also said that the Senator is still in the picture and that the investigation had been reopened. While the Senator was searching for paper trails that might reveal the secrets of Montauk, I knew that they would not solve my personal mysteries one bit. I had been recognized by people I didn’t know, and it was obvious that I had severe memory blocks. What made things so hard to reconcile was that I had a full set of “normal” memories which told me where I had been. My memory improved while working with Duncan, and I eventually realized that I must have been existing on two separate time tracks. As bizarre as it may sound, it was the only sensible explanation under the circumstances. As my memory was still largely blocked, there were three avenues of approach to the problem. First, I could simply try to remember the other time track, through regression or hypnosis. This proved to be very difficult for me and was virtually of no use. Secondly, I could look for clues and hints (in our normal time track) that the other time track did, in fact, exist. Thirdly, I could try to find the answers through technology. This would include theories of how the other time track was created and how I ended upon it. The third approach was the easiest. I am told that many people might find this very confusing, but I was familiar with the theories of the Philadelphia Experiment and was not intimidated by physics or electromagnetics. I found it plausible. The second approach also proved extremely helpful, but clues were hard to come by. It was now 1989. I started to roam around the plant at BJM, where I was still working. I would talk to different people and dredge up what information I could without trying to appear suspicious. I would also walk around and just sense my own personal gut reaction to the different places in the plant. I became particularly irritated when I would come to a certain room. My innards would just churn. I sensed very strongly that there was something in that room that was disturbing me. I had to investigate it. I rang the doorbell and was told that I couldn’t come in. It was a high security area. Reportedly, only ten people at the plant had the proper clearance to be in that room. I found that virtually no one knew anything about it. Finally, I did find two people who’d been in there, but they said they couldn’t tell me anything. One of them must have turned me in, because the security personnel visited me shortly thereafter. It was time to lay low for a while. About a year after my futile investigation, the room was totally cleared out. The doors were open and anyone could walk right in. It was obvious that there had been all sorts of equipment. Dirt markings revealed that four round things had stood on the floor. I presumed they were coil structures. It was clear that there had been a console. There was also a huge power line that still ran into the room. The entire place gave me the creeps, but I was driven to find all I could. I discovered an elevator in the back of the room. I got in and found only two buttons: Main Floor and Sub Floor. There was also a numbered key pad. I pushed the button for Sub Floor and tried to go down, but the elevator would only go so far. I heard a voice that told me to punch in the proper coded numbers on the key pad. I didn’t have the code and a beeping noise went off for about thirty seconds. Security was alerted. I had hit another dead end. I wasn’t scoring any points with security, and it was time to lay low once again. I began to think of how I could show that something very unusual was going on. I also recalled earlier strange experiences that had occurred while working at BJM. There was a period when, all of a sudden, a band-aid would appear on my hand. It hadn’t been there fifteen minutes ago! I couldn’t remember putting it on. This happened more than a few times. One day, I had been sitting at my desk and my hand suddenly started to ache. The back of the hand was sore, and there was a band aid on it. I absolutely knew that I had not put that band aid on nor had I had it put on. I became very suspicious. I got up and went down to the nurse. “No, you weren’t in here,” she told me. “I’m just trying to figure it out,” I said, and I walked out. I thought in my mind, “I’m not going to get a band-aid at BJM except from the company nurse.” I wanted a record, so I made a conviction that I would never use a first aid kit. I eventually remembered the reason I had sustained so many injuries to my hands. In my alternate reality, I frequently had to move different equipment. I was just about the only one who could move it as most people would go wacky when they’d get near it. For some reason, it didn’t seem to bother me. But it was heavy and hard to maneuver. With no one to assist me, bruised hands and band aids became a regular occurrence. I kept to my conviction not to use any band aids from first aid kits. I continued to check with the nurse when they appeared, and the records indicated I’d never been to her. As this was an irregularity, she must have reported it to security. They visited me and said, “Why are you asking about band aids, Mr. Nichols?” I knew better than to pursue that anymore. Recalling these experiences with the band aids helped spur my memory back to 1978. I remembered sitting at my work bench one day. All of a sudden, I smelled the scent of burning transformers. It was pungent, like the smell of burning tar. It came and disappeared very fast. This happened at 9:00 o’clock in the morning. The rest of the day continued as normal until 4:00 o’clock in the afternoon when the whole plant began to smell like putrid smoke from burning transformers. I thought to myself, “That’s the same smell I smelled at 9:00 o’clock this morning.” But now it occurred to me that the event probably hadn’t happened at the time I had thought. You can’t burn up a transformer and have the smell disappear as fast as it had that morning. Many more events of this nature had occurred. Each puzzle tended to confuse the general issue. Streams of unfamiliar people continued to recognize me. I began to get executive mail that would normally be for the vice president of a company. For instance, I would be asked to come to a conference concerning patents. I didn’t know what they were talking about. I was also called to meetings with a certain executive. He always appeared very agitated whenever we spoke. Most of the inquiries I received from these people were about the Moonbeam Project. I didn’t know what it was. But one day, I had an intuitive urge. The basement of the BJM building in Melville had a very high security area. Consciously, I had no clearance to be in that area, but I walked in anyway. Normally, when you walk from one security area to another, you must hand the guard your badge and he gives you another badge (with a different designation). This permits you to walk in the secure area. I simply went in and gave him my badge from the lesser security area, and what do you know? He gave me a badge with my name on it! I’d had a hunch and it worked. I walked around and let the churning in my gut determine what direction I should go in. I ended up in a posh mahogany paneled office. “Preston B. Nichols, Assist Project Director”. This was the first tangible physical proof I had that something out of the ordinary was definitely occurring. I sat at the desk and looked through all the papers. It was impossible to take the papers out of the place as I knew I would be searched very thoroughly on my way out of this high security area. So, I committed everything I saw to memory, to the best of my ability. I had an entire second career here that I knew almost nothing about! I can’t even talk about most of it. It is top secret. I’m bound not to mention it for thirty years because of an agreement I signed when I went to work for BJM. However, I didn’t sign a single thing regarding the activities of the Montauk Project. “To get to my other desk,” I replied. I pointed to the office where my desk had been. But as I entered the room with the Project Director, I found it to be gone. In the couple of days since I’d been there, they had removed every trace of myself from the room. Somebody must have realized that I had visited my office when I wasn’t supposed to. I had entered in an ordinary state of mind which was not to their liking. They apparently had not turned on the program (switching me to an alternate reality) for that particular day and must have been wondering why I’d shown up. They must have concluded that the process was leaking and that I was some how able to remember my alternate existence. As a result, they stopped everything. I was pulled aside through security channels and was told that if I breathed a word of what I’d seen, I’d be locked up in jail and the key thrown away. I tried to think of other strange incidents that had occurred. I’d kept a suspicious eye and had been experiencing two separate existences. How the hell had I been at Montauk and working at BJM, apparently during the same time period? I had already arrived at the conclusion that I must have been working two jobs simultaneously because there was a period of time when I’d come home and be totally exhausted. At this point, all of what you’ve read was one huge confused mess in my mind. I knew that I’d been working on two separate time lines or maybe more. In fact, I’d discovered quite a bit, but it was more confused than clear. I was, however, able to make a major breakthrough in 1990. I had begun constructing a Delta T* antenna on the roof of my laboratory. One day, I was sitting on the roof and soldering all the loops together into the relay boxes (which relay the signals from the antenna downstairs to the lab). * A Delta T antenna is an octahedronal antenna structure that can shift time zones. It is designed to bend time. Delta T=Delta Time. Delta is used in science to show change and “Delta T” would refer to a change in time. More about the nature of this antenna will be covered later in the book. Apparently, as I sat there and held the wires together to solder them, the time functions were causing my mind to shift. The more soldering I did, the more I became aware. Then, one day - bang! - the whole memory line blew open for me. All I could figure was that the Delta T antenna was storing up time flux waves as I was connecting it together. It just kept pushing my mind a little bit with regard to the time reference. The antenna was stressing time (bending it) and enough bend was created so that I was subconsciously in two time lines. This was my memory breakthrough. Whatever the explanation, I was very pleased to have regained so much of my memory. I also believe my theory about the Delta T antenna is correct because the more time I spent working on the antenna, the more memories came back. By early June 1990, all my key memories had come back. In July, I was laid off. Subsequent to my firing, all of my close connections were removed as well. After having worked at BJM for the better part of two decades, I no longer had any links or friends to the company. My information sources had been effectively severed. You now have a general idea of the circumstances whereby I regained my memory. The next part of the book will contain the history of the Montauk Project that includes a general description of the technology involved. It is based upon my own memories and the information that has been shared with me by my various colleagues involved with the Montauk Project. The U.S. Government began a weather control project in the late 1940’s under the codename “Phoenix.” The information and technology for this came from Dr. Wilhelm Reich, an Austrian scientist who had studied with Freud and Carl Jung. Reich was an extremely brilliant man but highly controversial. Although he experimented extensively and wrote many volumes, few of his critics have taken an honest look at all of his research because much of it is not available. Part of this can be attributed to the Food and Drug Administration who supervised a massive book burning of all his available materials and also destroyed much of his laboratory equipment. Reich was known in part for his discovery of “orgone” energy, which is orgasmic or life energy. His experiments revealed orgone energy to be distinctly different from ordinary electromagnetic energy. He was able to prove the existence of this energy in the laboratory. His findings were written up in various psychiatric and medical journals of the period. The discovery of a type of energy called “orgone” was not so controversial. It became very controversial with the powers at be when he reported curing cancer with his theories. He also associated “orgone” energy with “cosmic energy” and the Newtonian concept of “the ether”. None of these views won him support from conventional scientists of the 1940’s. At the turn of the century, scientists had embraced the Newtonian “ether”. This is referred to a hypothetical invisible substance as a medium for light and radiant energy. Einstein, who embraced the theory in his early years, eventually determined that there could not be a calm ether sea through which matter moves. Not all physicists bought Einstein’s argument, but Reich didn’t disagree. He pointed out that Einstein disproved the concept of a static ether. Reich considered the ether to be wave-like in nature and not static at all. Conventional scientists have since recognized the existence of phenomena that are a cross between particles and waves. They are sometimes referred to as “wavicles”. Common research has also shown that vacuum space contains complex properties that are dynamic in nature. Although it is not my cause to take up the case of Reich, his concept of the ether has proven itself functional in my research. It does not matter whether we are actually referring to “wavicles” or even more esoteric phenomena when we talk about the ether. Is is the word that Reich used, and it is easier for me to use in describing this for the general public. The reader is invited to read up on Reich as his work is vast and encompasses much more than can be covered in the scope of this book. For instance, he found practical uses for his theories such as modifying the weather. He found that violent storms accumulate “dead orgone”, which he termed “DOR.” Dead orgone refers to the accumulation of “dead energy” or energy that is on a descending spiral. Orgone and DOR were found to be present not only in biological organisms but in empty regions of the environment as well. An active and enthusiastic go-getter would be considered to have plenty of orgone energy, whereas a complaining hypochondriac who wanted to die would have DOR energy. For example, he found that the more DOR in the storm system, the more violent the storm. He experimented with many forms of DOR busting, and came up with a simple electromagnetic method to reduce the violence of storms. In the late 1940’s, Reich contacted the government and told them he had developed technology that could take the violence out of storms. Despite what disinformation you may hear, the government already knew what Reich could do and considered him a brilliant man. They asked for his prototypes and he was happy to oblige since he wasn’t interested in the mechanical development, just the research. The government’s contribution to the radiosonde dates back to the “airborne metrograph” * of the 1920’s. This was a mechanical device that recorded temperature, humidity and pressure. It was sent up in a parachute balloon and recorded information on a paper tape. The balloon was designed to burst so that the parachute would bring the metrograph back to Earth. The public were encouraged to retrieve them for a $5 reward, which was considerably more money in those days. This was how the government obtained data on the weather. * The word “metrograph” is more clearly defined if you understand that “metro” signifies that it was a meteorological device and that “graph” means to write. As these devices were returned via the mail, the time that elapsed before the recorded information could be read was much too long. In the late 1930’s, a new device was designed that was called a “radio metrograph.” This was similar to the airborne metrograph except that it contained electrical sensors. These sensors were connected to a transmitter that would transmit to a receiver on the ground. The radio metrograph was the state-of-the-art weather device when Wilhelm Reich contacted the government in the late 1940’s. He gave them a little balsa wood package that could be sent up in a balloon. According to witnesses, approaching thunderstorms actually split up and went around the test sit on Long Island. The government combined the technology of the radio metrographs with Reich’s DOR busting device and called it the “radiosonde.” It was developed until consistent effects on the weather could be reproduced. By the 1950’s, radiosondes were being sent into the air en masse at a rate of about 200 per day. Since these radiosondes were sent up in balloons, they would not come down hard enough to self destruct upon impact. The public would find them, and it would be impossible to keep the actual units secret enough without arousing suspicion. They publicized the apparent purpose of recording weather data, which uniformed examination would back up. The real purpose is not that obvious. If someone tuned into one of these packages, the signal would not appear unusual when normal radio equipment was used. So far so good! They showed the public a data receiving station; set up to receive the inaccurate and unusuable data. A small production run of this receiving equipment was produced. There were literally hundreds of these radiosondes in the air every day. With the radio range being limited to 100 miles, there should have been a “pile” of receivers known as radiosonde receptors and they should have been very common. As I am a surplus radio collector “nut”, it is quite strange that I have never seen a radiosonde receptor or the equipment that should accompany one. It is very unusual to have a data transmitter (in this case, the radiosonde) with no receiver to pick it up. This indicates that the Government didn’t use the receivers! My next clue was to look at the specification sheet for the radiosonde tube which emphatically states that the life expectancy is only a few hours. Despite this, I have had a tube on the air for over 2,000 hours, and at this time have built over twenty such units with only one failure. This is a good industrial failure rate but is a major red flag. My only explanation is that if some local amateur radio operator finds or buys a radiosonde on the surplus market, he will read the data, get misled and not bother building a circuit that will run for a “only a few hours.” He will use another tube. It appears that the Government does not want the public to use these tubes and find something unusual and thus blow their secret. This is why misinformation in the spec sheet preserves the secret. In fact, they are not telling a lie because the battery pack was designed so that the tube would burn out after three hours or so. This is caused by back bombardment of the cathode, which would cool slowly and then destruct. By the time these radiosondes hit the ground, they were dead. This way the public, who were encouraged to return them, wouldn’t be able to pick up live units. If there was no secrecy involved here, why would the government design a battery to burn out a costly tube that would have to be replaced after a very short usage? More disinformation was accomplished by packing the sensors in sealed vials, which implies that upon exposure to the air, the sensors are short lived. Because of these precautions, the secret was maintained for over forty years, which is excellent security. Upon further examination of the radiosonde and its circuitry, I discovered that the temperature and humidity registers in the radiosonde didn’t work. Not any of them! The temperature sensor was useless for recording the temperature, but it did have a function. ** It acted as a DOR antenna while the humidity sensor acted as an orgone antenna. If DOR was sensed by the antenna, the transmitter would be broadcast out of phase and bust up the DOR and take the violence out of a storm. Conversely, transmitting in phase would cause the DOR to build up. ** For those technically oriented, the temperature sensor is essentially a thermistor; but instead of being carbon based, it contains noble metals and exotic elements. It is a very poor temperature sensor because as the temperature cycles it up and down, the resistance curve changes and it doesn’t hold its calibration. The humidity sensor suffers from the same problem. The humidity sensor had the same effect with orgone energy. Transmitting in phase would build up the orgone energy and transmitting out of phase would reduce it. The radiosonde also contained a pressure element that would act as a switch signal and would maintain either DOR or orgone. This was how they built up the orgone energy. The transmitter consisted of two oscillators. One was a carrier oscillator, which runs at 403 MHz. The other ran at 7 MHz and is a relaxation oscillator. This one would pulse on and off depending on what was encountered. Somehow, this monitored the etheric function of the radiosonde. I haven’t discovered everything there is to know about radiosonde, but I have done a scientific analysis of it which I’ve included in the appendix (see Appendix A) for those who are interested. What I have told you about the radiosonde is hard evidence that can stand up to scrutiny. It establishes the credibility of my story that there was a secret project that involved weather control. We can’t say exactly whether the radiosondes were used just to bust up violent storms, but the possibility was also there to build them up. The government abandoned the weather control aspect eventually. Changing weather, if it were proven in court, could lead to many law suits. What is more intriguing than the weather aspect is the entire prospect of orgone and DOR energy and what could be done with that. In theory, this means that the government could have targeted communities, buildings or an entire populace and transmitted orgone or DOR energy. These type of activities have been reported in Russia for years. Not much press coverage has been given the U.S. effort in this regard, but there has been some activity. Whether it has been used harmfully or in war, I cannot answer, but the potential was there. Forty years of development could also have made this a very refined technological device. Please refer to Appendix B for additional information on Wilhelm Reich. While the Phoenix Project was investigating the weather and the use of radiosondes, Project Rainbow resurfaced in the late 1940’s. Project Rainbow (which was the code name for the operation that brought about the Philadelphia Experiment) was going to continue research into the phenomena encountered on the USS Eldridge. This project was concerned with the “electromagnetic bottle” technology, which eventually resulted in today’s stealth fighter craft. At about the same time, Dr. John von Neumann and his research team were called back. They had worked on the original Rainbow project and went to work on a new endeavor. This was similar to the Rainbow Project but had a different gowl. They were to find out what went wrong with the “human factor” of the experiment and why it failed so miserably. In the early 1950’s, it was decided that the remnants of Project Rainbow and the radiosonde project should be included under the same umbrella with the human factor study. After that point, the title of “Phoenix Project” was used to refer to all of these activities. The project headquarters was at Brookhaven Labs on Long Island and the first order of business was to put Dr. von Neumann in charge of the entire project. Dr. von Neumann was a mathematician who came to the United States from Germany. He also became a theoretical physicist and was noted for his very advanced concepts of space and time. He originated the computer and built the first vacuum tube computer at Princeton University, where he also served as the head of the Institute for Advanced Study. Dr. von Neumann had what could be described as a “good technical feel.” He had the ability to apply advanced theories to technology. His background in math gave him enough theory to communicate with Einstein, and he could in turn pass this on to the engineers and serve as a bridge between the two. As von Neumann began work on the Phoenix Project, he quickly learned that he was going to have to study metaphysics. He had to understand the metaphysical side of man. The Rainbow technology had dissolved the physical and biological structure of human beings. People were stuck in bulkheads and changed beyond recognition in some cases. But it was the esoteric workings of the mind that had been affected first, in each case. Von Neumann and his team spent about ten years working out why human beings had troubles with electromagnetic fields that shifted them through different places and times. They actually found out that humans are born with what is known as a “time reference” point. At conception, an energy being is attached to a time line and we all start from that point. To understand this, it is necessary to view the “energy being” or soul as distinct from the physical body of the person concerned. Our whole reference as a physical and metaphysical being stems from that time reference which actually resides within the electromagnetic background of our planet. This time reference is the basic orientation point you have to the universe and the way it operates. You can imagine how you would feel if the clock suddenly started moving backwards and time as well. It is this time reference point that was thrown out of kilter with the individual crewmen of the USS Eldridge and caused them untold trauma. The Rainbow technology turns on and creates what can be called an alternate or artificial reality. It creates a stealth effect by not only isolating the ship, but the individual beings as well, within a “bottle effect.” Those beings were literally removed from space and our universe as we know it. This accounts for the invisibility of the ship and of the people on board. The alternate reality thus created has no time references at all because it is not part of the normal time stream. It is entirely out of time. To be in an artificial reality would be like waking up and not knowing where the hell you are. All of this would be very confusing. The Phoenix Project was faced with solving the problem of bringing human beings into the “bottle” (and eventually out again) while at the same time connecting them to their real time reference (that they would know as the planet Earth, etc). This meant that when they were in the alternate reality or “bottle”, they had to be supplied with something that would give them a time reference. They solved this by feeding into the “bottle” all the natural backgrounds of the Earth - at least enough to convince them of a continuous stream time reference. To do otherwise, would likely cause those in the “bottle” to experience transdimensional disorder and problems of this sort. This is why it was necessary to set a phony stage. They could then feel some degree of normality. Dr. von Neumann was the ideal candidate for the job since he knew computers. A computer had to be used if they were going to calculate the time references of specific people and replicate those references while they were passing through an “electromagnetic bottle” or alternate reality. The people inside the “bottle” would be going through zero time and essentially a “no reality” or a disoriented one at best. The computer had to generate an electromagnetic background (or phony stage) that the physical being would synchronize with as well. If that wasn’t done, the spirit and the physical body would go out of synch, thus resulting in insanity. This is why the time reference would lock in the spirit and the electromagnetic background would lock in the body. This whole project started in 1948 and was finally developed in 1967. When this project was complete, a final report was written and submitted to Congress. Congress had funded this particular project thus far and followed the results. They were told that the consciousness of man could definitely be affected by electromagnetics; and additionally, that it would be possible to develop equipment that could literally change the way a person thinks. Not surprisingly, Congress said no. They were concerned that if the wrong people got a hold of this technology that they themselves could lose their minds and be controlled. It is a very valid concern and word was given by 1969 to disband the entire project. It is no secret that Congress has tried to brow beat the CIA into finding out everything that goes on in the intelligence community. They have cut their funding, limited their legal powers, and even the most naive person would likely admit to a credibility gap of some degree. However, we are not dealing with the CIA proper here. Indeed, if the CIA is involved, it would be a splinter wing or wings that are being used by a source other than the CIA director. When Congress disbanded the Phoenix Project, the group at Brookhaven had already built an entire kingdom around this project. They had Reichian and stealth technologies which could definitely affect the mind of man. * I have included in Appendix C some evidence that suggests mind control devices were used against the Iraqis during the Persian Gulf War. The military became enthusiastic and were ready to cooperate. They were informed that they didn’t need to get involved in the financing because that was covered by the group at Brookhaven National labs. But, the Brookhaven people needed a place where proper experimentation could be done in seclusion. They needed certain equipment and personnel from the military. They gave the military a list of all technology required. Of particular import on the technology list was the old Sage Radar. For this, they required a huge radiosonde that would operate around 425 to 450 MegaHertz. From earlier research, it was known that this was one of the “window frequencies” for getting into the human consciousness. A very high powered radar device was needed that ran at 425 to 450 MHz. The military had just what they were looking for: a mothballed Air Force base at Montauk Point that housed an obsolete Sage Radar system that fit the bill. This system already had the RF sections and the modulator that would be required to build a huge radiosonde. The Sage Radar at Montauk was originally part of the early warning defense system used during the ‘50’s and ‘60’s. Today, satellites and over-the-horizon radar make this technology obsolete for defense purposes. It certainly raises an important question, even if one doesn’t believe this story. Why was an old antiquated defense system turned on and utilized for a period of over ten years? The name for this project was known as “Phoenix II” by the officials concerned. It has since been colloquially named by myself and others involved as the Montauk Project. But, the point being stressed here is that it was being done without the supervision of elected officials and in spite of their objections. The Montauk Base was being reopened. The Sage Radar had been shut down since 1969/1970 when the base was turned over to the General Services Administration. It was a surplus government base without anything on it, and government financing for it had ceased. It is obvious that major funding would be required for such an endeavor. The financing is shrouded in mystery, but it appeared to be totally private. I do not have documented evidence myself of the financing but have been told by my Montauk acquaintances that the original money came courtesy of the Nazis. In 1944, an American troop train went through a French tunnel carrying 10 billion dollars worth of Nazi gold. This train was dynamited in the tunnel while carrying 51 GIs. General George Patton was in Europe at the time and investigated this, but he couldn’t understand how an American troop train could be dynamited in western Allied territory. As a general and human being, he cared about the GIs. The 10 billion dollars was also a mystery, but Patton’s efforts were blocked. I’ve been told this gold eventually showed up at Montauk, and it was 10 billion dollars of gold priced, then, at $20 an ounce. This was the equivalent of almost 200 billion dollars in today’s currency. It was used to finance the project initially and for years to come. After it was all spent, the project was allegedly financed by the infamous Kruppfamily **, who controlled the ITT corporation. ** The Krupp’s were the owners of the German munitions factories for World War I and II. After being found guilty of war crimes and complicity with Hitler at the Nuremberg Trials, the head of the Krupp family was paroled from a light prison sentence and allowed to continue his notorious arms dealings. In late 1970 and 1971, the Montauk Air Force Base, 0773rd Radar Battalion, was actively being reestablished. They had to establish a staff, get the equipment working and set up the whole research facility. This took about a year, and by late ‘71, the Montauk Project was underway. The strictest security measures were employed, part of which were entirely valid. Although confidential stealth technology was involved, it is no secret that the stealth aircraft was designed with a radar resistant absorbing coating and a reduced surface cross section. What is secret are certain aspects of the “electromagnetic bottle” technology and how that was propagated. We’re not going to discuss this or describe it as it remains a duly authorized military secret that concerns the defense of the United States. With this book, we are concerned with disclosing a project that should never have been activated in the first place. With no military or defense purposes to begin with, it was only designed for controlling the minds of the population and in spite of Congress forbidding this project. The staff was a mixture of military employees, government employees and personnel supplied by various corporations. I was one of the latter and came to the project in 1973. There were a number of Air Force technicians who had worked on the Sage Radar in the ‘60’s. The Air Force had assigned them to Montauk even though it was listed on the books as a decommissioned, derelict base. The technicians told the Phoenix group that they could change the general mood of the base by changing the frequency and pulse duration of the radar. They had noticed this as a professional curiosity after years of working with radar. This was a surprise to the Phoenix people, and they found it very interesting. By changing the pulse rate and pulse width, they could change the general way people were thinking. This was what they were looking for. This new information prompted what I now refer to as the “Microwave Oven” experiments. They took the reflector (which looks like a huge banana peel and which can be seen from a distance when you are at the Point), rotated it almost due west and angled it down so that it was focused on one of the buildings, in what they though to be a safe place. Inside that building they had a chair inside a shielded room. All this was being done while the antenna was rotated and focused to a point in front of the building. At the same time, the transmitter was blasting gigawatts of power. They experimented by running the transmitter at different pulse widths, different pulse rates, and different frequencies. They tried everything they could think of, just plain empirical experimentation. They just wanted to see what would happen to the person in the chair if he was bombarded by “x” frequency, pulse, etc. They observed that certain changes made a person sleep, cry, laugh, be agitated and so on. There were rumors that whenever the Sage Radar ran, the mood of the whole base would change. This was very interesting to the project supervisors as they were primarily concerned with the study of human factors. They wanted to see how they could train and change brain waves. This was done by changing the repetition rates of the pulse and the amplitude in correspondence to different biological functions. In this way, a person’s thoughts could be controlled. With the 425-450 MHz of radio frequency power, they actually had a window into the human mind. The next step would be to find out what was inside of it. Although the door to the shielded room was closed most of the time, it didn’t work properly. The subjects were exposed to a strong enough field to influence the brain waves but not enough to do damage. However, if exposed to it for several days on end, it could be quite damaging. Duncan sustained serious brain and tissue damage as a result of continuous exposure to 100 kilowatts of RF power at a distance of about 100 yards. The radio waves baked his brains and chest. Anywhere in his body where there was a change of density, zones of heat or energy would be created by the concentration of the microwave beams. Upon visiting a doctor in 1988, Duncan’s doctor commented upon the unusual scar tissue in his lungs. He’d never seen anything like it. Another doctor who was consulted said he’d only seen it in the service when someone had gotten in front of a high powered radar beam. Previous research in or about 1986 indicated that Duncan was actually brain dead. Initially, I had asked different psychics to do readings on Duncan. They determined he was brain dead. I also knew that it was possible to inject a particular dye into the brain and have x-rays or CAT scans can reveal what areas of the brain are using oxygen. Brain dead individuals suffer from a lack of oxygen to the cerebrum. If the psychic readings were accurate, his brain would not be using much oxygen. I asked a neurologist with whom I was friendly with, and he said it was definitely possible that some one could be brain dead and yet be walking around. He cited some post mortems done on people in England in the U.S. whose brains had unusual coatings inside the skull. The coatings were about a millimeter thick. More interesting yet was a case he’d encountered about ten years ago. He took out a group of x-rays of a normal human being and showed me the red areas. He also indicated blue areas but told me they were areas that didn’t require much oxygen. Then, he put up another x-ray where the entire brain was blue. This meant that the person was alive and was walking around like a normal human except he has memory loss problems from it. He was essentially brain dead and the brain was using just enough oxygen to keep it from rotting. I noticed the corner of the x-ray and was surprised to see Duncan’s name. Based upon this information, Duncan is indeed brain dead. I asked the doctor for an explanation, but he wasn’t sure. He could only offer a theoretical conclusion based upon psychic powers. He said that his profession recognized the existence of psychic phenomena but did not understand it. At this point, we learned that the only reason Duncan is alive today is due to his strong psychic aptitude. The psychic part of his mind takes over the physical part of his mind and runs the body. His brain stem is alive; his spinal chord is alive; his body is alive, but his actual higher brain is dead. His psychic energy runs the body through the brain stem. Duncan was not the only person affected. We don’t know how many people were involved but the body count was probably high. It wasn’t until 1972 or ‘73 when it was finally realized that stealth technology dealt with non-burning radiation. One theory was that actual non-burning radiation, which is the higher order of components (as opposed to burning radiation), actually went through the reflector and would be opposite to the focal point of the antenna. They tried it and turned the antenna around 180 degrees. They aimed the burning rays into the sky and hit the person with the non-burning rays. Then, they found they had the same mood altering capabilities, if not more than they had before, but this did not damage the people. But at what cost to the persons previously experimented on! At this point in the project, they were interested in monitoring people and changing their thoughts and moods, etc. It was not necessarily how they changed but the fact that they changed under certain circumstances. Different army units were invited to come to the base and have R&R there. As far as the soldiers were concerned, it was free R&R in a beautiful location. The outer base had a nice gymnasium and a bowling alley with excellent food and accommodations. Unbeknownst to the servicemen, they became guinea pigs for the mood control experiments. However, these were not the only guinea pigs. Experimentation was also done on the townspeople, Long Island, New Jersey, upstate New York and Connecticut civilians, just to see how far it could go. However, most experimentation was done on the vacationing soldiers. Time was spent monitoring different pulse types, trying this and trying that. They would note and categorize the different effects. It was all pure empirical experimentation and a huge data base was collected. Once they had enough data, they began to make some sense out of which functions did what. During this period, they also experimented with frequency hopping. Frequency hopping consists of the transmitter instantaneously and randomly shifting around to any of five different frequencies (that were being fed to the transmitter). This point became very important later on as it was key to bending time. They discovered that very fast frequency hops made the modulations more psycho-active. A data base was then developed that would list the frequency hop times (times you go from one frequency to another), how they pulse modulated, the rate the pulse modulated at, the pulse width, and the power output they pulsed it at. This was then coupled with the responding effects it had. The data base was very extensive and covered an extremely broad range of causes and effects. After the extensive experimentation, they developed a control panel with which they could set different pulse modulations and timings. They knew that these different pulses and functions represented certain thought patterns from the individual. They could set the modulators and timings so that a transmission would be generated that would place thought patterns into an individual. This meant they could literally set this pulse at anything they wanted and expect a desired effect to take place. All of this took about three or four years to research. The transmitter was now fully operational and hooked up. Programs could be typed in that would put the transmitter through its phases. Programs were derived that could change the moods of people, increase the crime rate, or make people agitated. Even animals within the vicinity were programmed to do strange things. The researchers were able to derive programs whereby they could focus on a car and stop all the electric functions in it. I don’t know what the modulations were, but I understand they found this quite by accident. One day, there were military vehicles riding around the base. They suddenly ceased to operate without any function. An investigation ensued to find out what was occurring with the transmitter at the time, and a program was developed. At first, the program could only get the lights in a car to dim. It was eventually refined to where the program caused all electrical functions in a vehicle to cease. Several years of research and collecting information had finally yielded a mind control device. The next objective was to create a precision technology with the material. In order to do this, help from very strange sources was enlisted.